Since its humble beginnings in 2004, Erus Energy has risen to become one of the most respected and innovative solar energy companies in the industry, with operations spanning from Arizona to South Carolina. Erus delivers a holistic approach to energy by reducing energy waste which allows our customers to maximize their solar investment. Finally, we utilize the latest technology to put energy monitoring and management at your fingertips. Our engineers, project managers, installation technicians, and sales team all align toward a single goal: to deliver maximum value and superb service to every customer. Erus Energy has over 15,000 clients, and that number continues to grow as our workmanship and customer service speaks for itself. We know how to save you money and how to turn your home or business into an environmentally-friendly, energy efficient ecosystem. We serve markets in New Mexico (Albuquerque, Las Cruces, Roswell, Alamogordo), Arizona (Phoenix, Tucson, Flagstaff, Prescott, Glendale, Mesa, Peoria, Sun City, Surprise, Chandler, Ahwatukee, Tempe, Green Valley, Ajo, Maricopa, Gila Bend, Marana), Texas (El Paso, San Antonio, Austin, Laredo, McCallen, Houston, New Braunfels), South Carolina (Columbia, Charleston, Greenville, Myrtle Beach), Florida (Tampa), and their surrounding cities. We use candor and are transparent with others. We lead by serving our clients. As Chairman of Erus Energy, Jesse Gee has helped guide the company to become one of the top solar energy providers in the US. 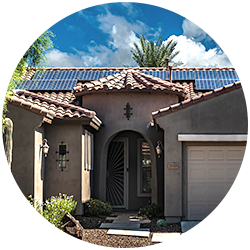 Over the first 6 years in the solar business Erus has grown from a single location in Phoenix, Arizona to serving over 15 major US markets with thousands of installations to its credit. Jesse Gee lives in Phoenix with his wife and 3 children. David is an Arizona native that began working in solar in 2008. Once he began to learn more about the industry he knew that he could deliver a life changing, money saving product to homeowners and help the environment all while supporting his family. He knew this industry was special and was excited to be part of such a unique field. After four years and huge professional growth, Dave joined the Erus Energy team in 2012 as a consultant. He then progressed in growing through sales, COO, and now leads Erus as its CEO. Erus Energy has since moved into multiple states with thousands of happy customers, many of which David speaks with individually. David truly cares about quality products and making sure his customers are satisfied with their systems. Jason joined Erus Energy in 2016 as the Chief Financial Officer and oversees the Accounting, Finance, Human Resource and IT departments. Jason earned his bachelors and master’s degrees in accounting and worked as a CPA in public accounting. 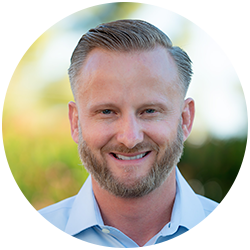 Jason is a respected financial executive with broad and diversified experience having served as CFO for companies in the real estate, construction, and sports industries. His areas of expertise include mergers and acquisitions, technology implementation, financial planning and forecasting, margin enhancement, and talent development. Jason has held senior positions in both public and private companies and brings experienced leadership to the high growth environment at Erus Energy. 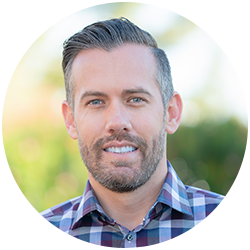 Originally from Seattle, Jason loves the Arizona climate and enjoys hiking, golfing, and riding ATVs/motorcycles with his family. 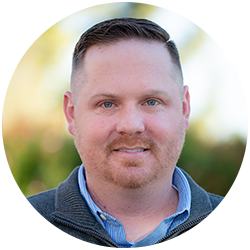 Josh comes to Erus Energy as a highly respected sales executive with significant experience leading operations, sales teams, and global sales for some of the most well known and well respected renewable energy and home automation companies in America. 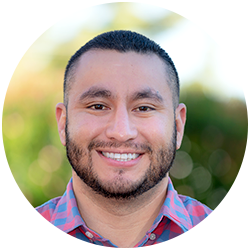 Josh has a track record of successfully developing channels and marketing initiatives. 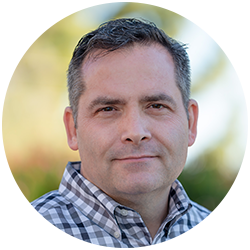 Josh is also widely known as an expert presenter, negotiator and businessperson able to forge solid relationships with strategic partners, maximizing profit for dealer partners while providing exemplary service to consumers. Josh has successfully built direct sales teams, while winning numerous awards, and finishing in the top 5% out of over 3000 sales representatives for one of the world’s largest home automation companies. Juan Cortinas was born and raised in El Paso, Texas. After graduating high school he began working in the electrical field as an apprentice electrician while also attending college at night. At the short age of 22 years old he acquired his Texas and New Mexico electrical journeyman license and decided to continue with this career path. After working for a couple of years with local electrical contractors, at the age of 24 he then acquired his Master Electrician license in the State of Texas and was able to move up to a general foremen position with a company who conducted large scale commercial construction projects. He would go on to oversee numerous commercial projects such as movie theaters, high rise buildings, shopping centers and wind farms. In 2015 he was hired at Erus Energy and would become their first install manager for the company and would go on to put together their first installation team. 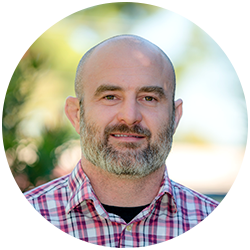 After some success in EL Paso he was then promoted to Vice President of installations at Erus Energy and has now gone on to oversee and help expand the Erus brand on to new markets across the U.S.
Kim, an Arizona native, began working in solar in 2009. Kim’s background is in project management and was responsible for the opening of 1,200 restaurant units in the span of 12 years. She received her certification for mechanical plumbing and electrical project management through Purdue University. 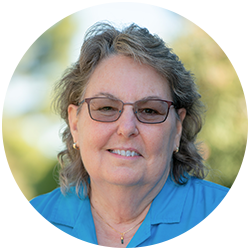 Kim joined Erus Energy as Vice President of Operations in November of 2018. She has previously held the positions of Vice President of Operations and COO within the solar industry. Kim enjoys the challenge of getting a project from paper to power. Mr. Holmes has led the development, financing and execution of over 400 MW of central and distributed solar generation assets throughout North America and has over 16 years’ experience in global energy markets. Prior to Erus, Mr. Holmes served as the Chairman of a Mexico based developer, One Sun, servicing the commercial and industrial solar market. Previous to One Sun, he was the Vice President of Commercial Operations at Solar City where he led the execution of over 225 MW of utility and commercial deployments in 2016 alone. Before his time with Solar City, he held executive roles at Sungevity, NRG and Bechtel where he led operations in North America, Europe, Africa and Australia. Leveraging his diverse experience and network within the energy industry, Mr. Holmes is strategically focused on offering a world class service to Erus’s commercial and utility clients. He studied Political Science at the University of Oregon and completed coursework in Executive Leadership at the University of California, Berkeley and Economics at Yale. Erus Energy believes that everyone should have access and ability to harness the power of the sun, our planet’s cleanest and most powerful energy source. It shouldn’t be out of reach for anyone to create a smaller footprint on the environment or to use this energy to create a long-term method for energy savings. Our vision is to create an opportunity where every person can generate their own clean, renewable energy. We want to help you achieve this and to save money along the way. Erus Energy is committed to our customers at every step of the entire process. Even after your system is installed, we stand by our work and our customers for any future maintenance and repairs. We don’t sell your system to any other company. We’ll be with you through the life of your contract. Our support team is second to none and we’re just a phone call away. [We] had few occasions where it seemingly looked difficult to complete the project by the end of the year but Steven’s tireless efforts and follow-ups made it possible. Kudos for such a great project management Steven. My solar panels have now been generating an average of about 30 kWh every day and I certainly am excited to see my Duke Energy bill drop down to negligible if not zero. I have been very impressed with Erus Energy and each of its employee representatives. Our salesman, Dominic was very accommodating and able to field every question we had. Our project manager, Jen over-delivered at every step. I highly recommend this company! We have no complaints on this Erus Energy, the entire process from start to finish was excellent, the staff and project manager Kathy was more than helpful with questions and answers we had and keeping us up to date with the progress of the install to include scheduling all inspections along with meter switching with our electric company and now all up and running. Thank you administrative staff and our project manager Kathy!!! Timeframe and it is now up and running as of today. I am looking forward to the efficiency. Nancie did a great job with advocating and having patience with me through the process. ERUS is an excellent company to work with! From the consultation process and the way through to the installation, and even after during the “turn on” phase. During the whole process, project management keeps you informed and lets you know what to expect next! These guys are simply amazing. Kind, courteous, and extremely accommodating. I’ve been interested in solar for a while, but life events push events back. They took their time to send out representatives when it most suited me and was able to do work without me even being home. They are extremely knowledgeable and expeditious upon request. They were able to accelerate their time table in lieu of a business trip where I would be out of state for the next few months. HIGHLY recommend this business to anyone that is interested in solar panels for their home! Our experience with Erus was great! Starting with Mike and Josh their sales people and especially Nancie our project manager. Everything went smoothly and as promised. The installers were very competent and personable. We can’t say enough about this company. We highly recommend them. I was very pleased with their communication with me during and through the whole process. Project Manager was very helpful and kept in touch throughout the project. Techs and laborers were very professional and cleaned up completely. Great company, very honest, dependable and always with a quick response! Thank you to Cathy at Erus Energy for all your help and professionalism! Just to mention for you all the ones that are still undecided, I can’t believe we waited this long to put the Solar Panels on. Our July bill is only $7.00 and for the past two years alone we had to pay $250.00 each month… But the greatest and best thing about the Solar Panels: most of the time they produce enough electricity to turn around and sell it back to the Electric Co. Highly recommended! To me, Erus Energy is Kathy, my contact person. She handled every detail of my Solar Panels installation from the home office. The financing paperwork, the workman, and keeping in contact with the electric company to make sure all was running as it was supposed to and kept me informed each step of the way. You would not get better customer service. Sale was smooth, install was fast and clean and the system is a monster. We’re selling back everyday. Steve Joe and Jeramy were all professional and courteous. Erus Builders have been awesome and especially Kathy. She is always available to listen to me and to return my calls if unavailable at the time. She has provided information plus very positive experiences in getting my feet wet in this new era of my life–solar energy. My solar was installed about eight years ago by Erus Energy. Recently we decided to have our roof replaced so I contacted Erus about removing and replacing the panels for this process. We also appeared to have one problem inverter, wreaking some havoc in the system. I spoke with Nancie who quickly got me all the information I needed. She quickly contacted the manufacturer for me and acquired the replacement so that it could be installed when the panels were replaced after the roofing job, saving me installation costs. She was knowledgeable and professional. It was great working with someone who could resolve problems quickly and efficiently! If only half the employees in this country were as competent, efficient, dedicated and expedient as Cathy at Erus Energy, life would be more harmonious with far less stress, aggravation and far fewer disgruntled customers. I was beginning to regret my decision to install a solar system on my home until I hooked up with Cathy. She listened intently and immediately took my worries to heart, and just as quickly as I turned them over to her, they were resolved, easing my mind and putting my worries to rest. The installers where very professional and worked through the heat of the day. Everyone was excellent. Very cooperative and they kept me informed all the way through and were at my beck and call. I am usually skeptical and apprehensive about any sales or services regarding home improvement. After having been burned too many times by previous “too good to be true” companies/deals, I try to avoid sales pitches altogether. Erus Energy was professional, thorough and patient. I am pleased with the level of service and look forward to the first lower cost energy bill. I was referred to Erus [Energy] by a former customer. Dave was very helpful throughout the process. Communication was excellent the whole time as Dave always updated me on each stage of the process. The whole team at Erus was wonderful to work with. © 2019 Erus Energy. All Rights Reserved. Disclosure: A solar power system is customized for your home or commercial building, so pricing and savings vary based on location, system size, government rebates, and utility rates. Savings based on your electricity rates are not guaranteed. Financing terms also varies by location. OAC. Erus Builders, LLC DBA Erus Energy AZ: ROC 305508. NM: GB02 #382417. TX: TECL #30936. SC: G120073. FL: EC13007730.